Salinas Design Build Specialist | Ausonio, Inc. When tackling a large development project it is always wise to enlist a design build specialist like Ausonio Incorporated to assist in the sometimes tedious task of ensuring all requirements of the project are being met and being completed efficiently. Traditionally, the build and design phases of projects have been kept separate. This results in problems especially for the customer when the design conflicts with the structure that can be built. However, Ausonio Incorporated design-build specialists eliminate such problems by integrating the build and design phases. When these processes are effectively streamlined and kept under one umbrella, problems that could cause major delays are identified and solved in a timely manner. 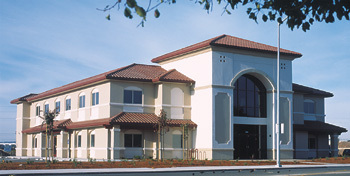 Ausonio Incorporated in Monterey has qualified design and construction experts who will cut down errors, cost and time. This is achieved by streamlining the whole process and bringing all aspects of the project under one team and management. You, the client enjoy protection since you will never be caught in between the construction team and designers. Both the design and construction processes are under the same company. Since Ausonio Incorporated design-build specialists will manage all phases of the project, there is no possibility of miscommunication or disconnect and therefore you will be able to operate within your budget. This is quite vital since it is easy to determine whether implementation of particular changes would stretch the budget to unmanageable levels. Therefore a workable budget that incorporates all changes can be formulated. Problems may arise in every construction project. The most important aspect is the ability to come up with reasonable solutions to the problems in a timely manner. Design-build specialists ensure improved communication and that any disagreements between the construction crew and designers are quickly resolved, because they are teammates under the same management. Ausonio Incorporated design-build specialists have the ability to handle every aspect of a project in a professional manner. This is quite appealing to clients mainly because the quality of labor, materials, and the project in general will never be compromised. Having the same contractor handle the whole project from start to finish is very beneficial. It is very rare for any project to go exactly as planned. In most cases, plans need to be adjusted in order to overcome any unforeseen obstacles. Hiring a qualified and certified design build specialist ensures that the project does not slow down as build and design teams try to come to an agreement. Ausonio Incorporated ensures that such issues are addressed and resolved in a timely manner. In most cases such problems are discovered and addressed long beforehand. Ausonio Incorporated offers all manners of build and design projects including manufacturing plants, multi-million dollar office complexes, and vocational parks. 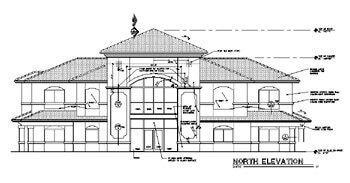 The design build method is quite advantageous to the client since our specialists incorporate all aspects of the design build process for all projects in Monterey, San Benito and Santa Cruz counties. If you are in need of a design build specialist in the Monterey, San Benito, or Santa Cruz counties, please feel free to contact us. Find out how we can help you. Request a consultation today.